Could The Therapeutic Pillow Be The Best Pillow For Neck Surgery? There are many good cervical pillows for neck pain to choose from. In fact, the list of pillows seem endless, with everyone claiming theirs is the best. Because everyone is different, there are really no pillows for any specific neck related symptoms, however, some really stand out. Ultimately, your surgeon should determine the best pillow for neck surgery based on your specific case. One in particular is the therapeutic pillow. This pillow has many years of providing relief; from helping to restore the natural curve in the neck, relief from neck pain symptoms like stiff muscles and headaches, to helping with more serious conditions like advanced arthritis and pinched nerve symptoms that cause neck, shoulder and arm problems. Despite attempts at treating neck symptoms, in some cases, surgery is required. Often this surgery involves fusing of the bones. While this may provide a solution for symptoms, too often, neck problems persist. 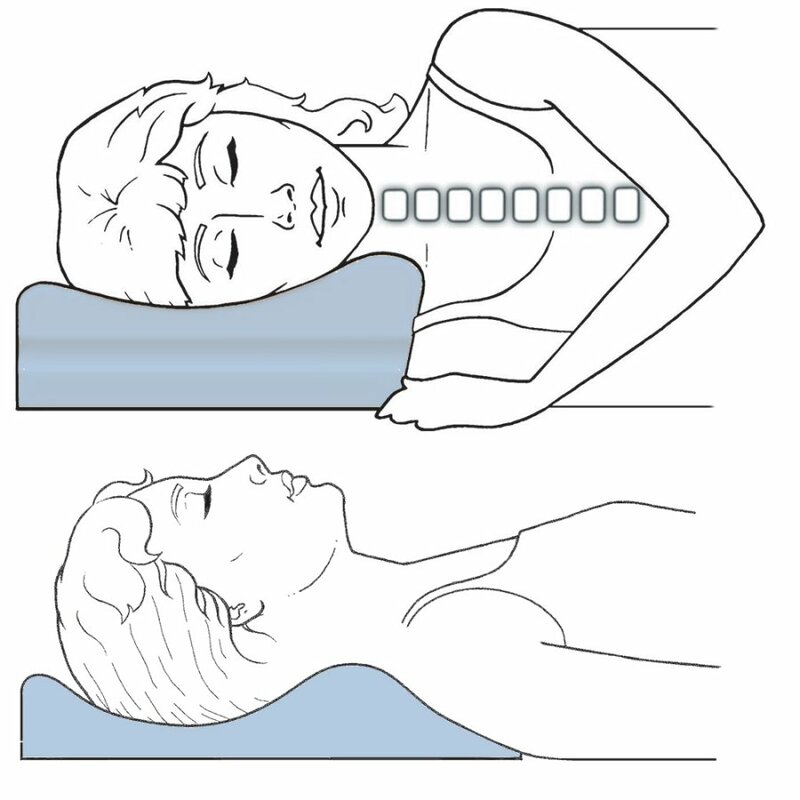 Many times, finding a pillow that allows a good night’s sleep after neck surgery can be troublesome. We hear stories of closets full of pillows that don’t work as the best pillow for neck surgery. This is frustrating and expensive. The problem is that the same surgery, for the same symptoms, can produce different results. Details like health status, age, weight, condition of mattresses, pre-existing conditions and comorbid conditions (other existing health problems) all play a role. Often, when a condition involves the neck and upper back, extra support for the upper back as well as the neck can make a difference. What Is The Best Pillow For Neck Surgery? The therapeutic pillow has a special section that supports the upper back called a thoracic wedge. This can help those with neck and upper back pain when back sleeping, as well as provide support and comfort when side sleeping. It is made of an environmentally friendly recycled foam that is medium density, so it is not too soft or too hard. So, here is a very good option for the best pillow for neck surgery. Sometimes it may require a special combination of pillows to achieve best results. Is The Therapeutic Pillow The Best? I want to share this with you regarding a customer and his experience with his wife looking for a pillow for her neck surgery. I am leaving out any personal details to protect identity as requested. The gentleman generously agreed to let us reproduce his letter on this site, so that others in similar circumstances might benefit from it. So, while there is no one pillow that will help everybody and no “neck surgery pillow”, the therapeutic pillow gets a big vote here. So, its not necessarily right after surgery, but as the years progress and difficulties arise. Based on this experience, I was talking to a customer on the phone who was ordering a heating pad and neck brace. She had mentioned that she had fusion surgery some time ago and was trying to get some relief. I asked her how she was sleeping. She said not well and did have problems finding a pillow that worked. Being so inspired by the above experience, I related the above to her regarding the therapeutic pillow. She was very impressed. I told her that it may not do the same for her, but it just struck me when talking to her that perhaps this might be something she could look into, since it reminded me of what the gentleman above had said regarding his wife. She immediately visited the therapeutic pillow page on the website, took a quick measure and ordered the pillow as well.